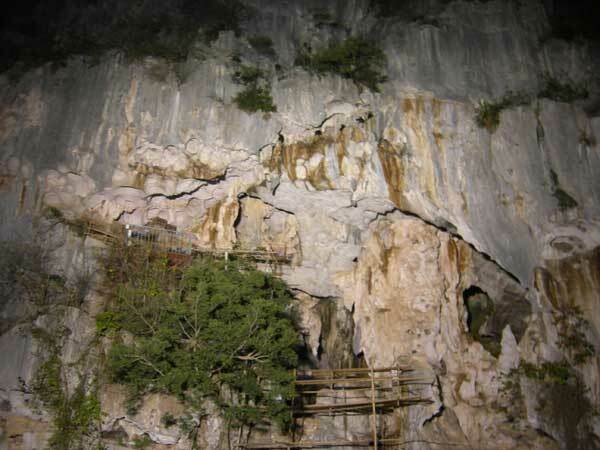 In this field research, we observed white-headed langurs which live in curst in Guangxi, China. 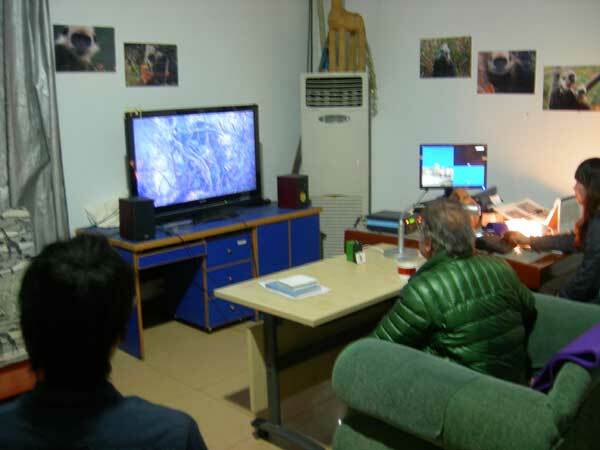 Our research was performed in Beijing University Chongzuo Biodiversity Research Institute (CBRI) which is built as a purpose of research of white-headed langurs. They use a small cave of curst as their sleeping point, so we could observe their behaviors from the tower near their sleeping point. Fortunately, we could directly observe the activities of langurs when they get up, eat plants, and go to bed. 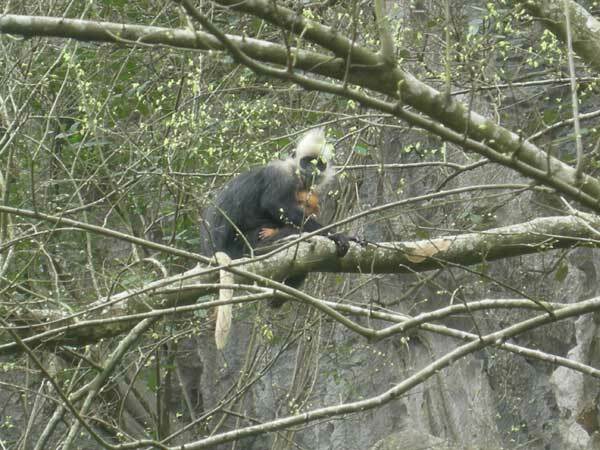 White-headed langurs eat only plant and they seem to select plants whether they can eat or not. 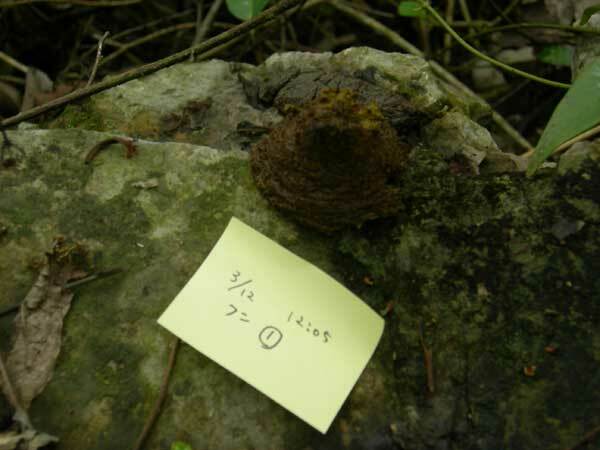 The main purpose of our research is the elucidation of relationship between the plants eaten by them and their bitter taste receptors using DNA bar-coding with their feces. As a personal interest, I tried to observe individual or genetic difference in the group. While I could not discriminate individual differences, we could collect feces of some individual monkeys. After our field research in Guangxi, we visited CAS-MPG PICB in Shanghai and had discussions with the researchers of PICB. The group of PICB studies differences of the primates (human, chimpanzee and macaque) in molecular biological level using computing the transcriptome of the brain. The researchers of CBRI observed the behavior of white-headed langur and they don't use computer in their research, on the contrary, the researchers in PICB analyze a lot of data of primates using computer and they hardly do experiment in their laboratory. In this time, I can experience the research activity of biology in various fields.